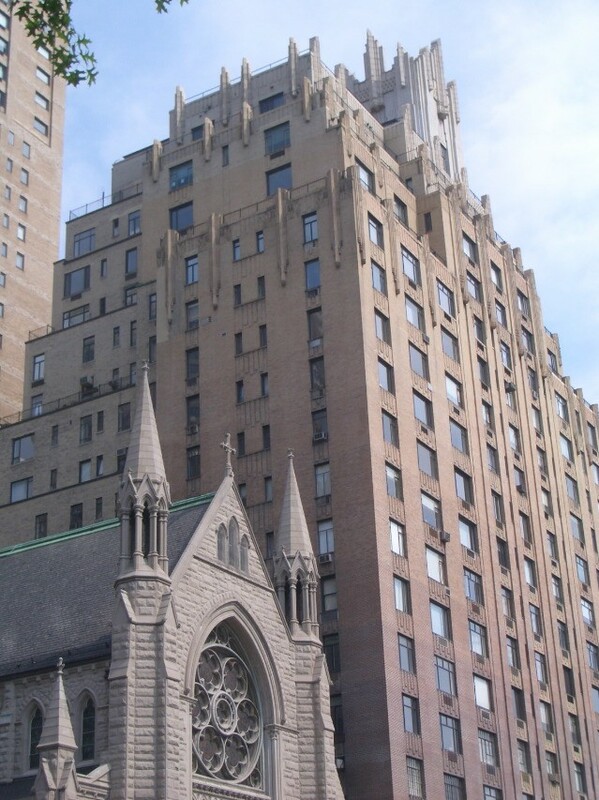 This building was used for the exterior shots while in New York. A duplicate of the first 3 floors was constructed in LA to film the scene where the ground breaks up, and the rooftop was a set in LA as well. 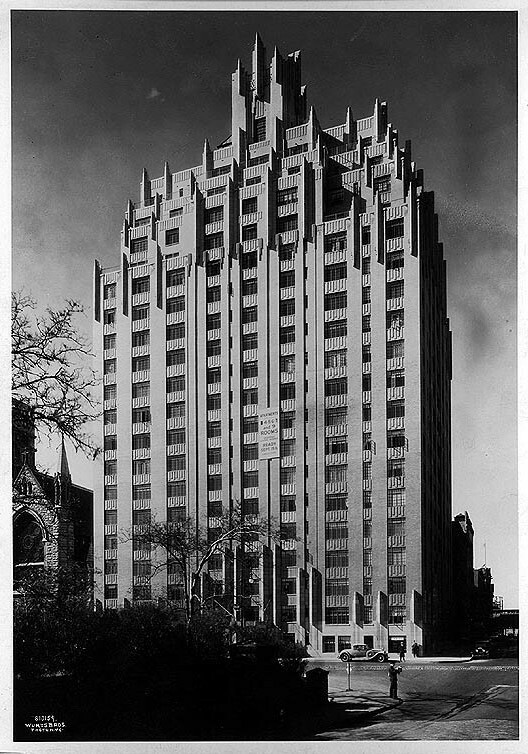 "Designed by Schwartz & Gross, this 109-unit cooperative apartment building was completed in 1930 and is modest but memorable in its design consistency. All of the setbacks have protruding vertical design elements that are also placed around the building above the ground floor. These elements rise towards the center of the park-facing fa�ade from one-story to three stories in height, mirroring the top of the building, which has its centrally placed watertank in a decorative tower."